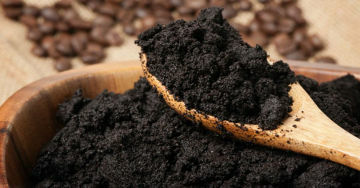 Did you know that coffee is also a great exfoliant for the skin? Simply mix with your normal shower gel, and apply on your skin. This will give you a good scrub to exfoliate your skin and make it more beautiful and so smooth! Be careful not to let the coffee steep for several days in the bottle of shower gel, bacterial growth assured. It is better to mix and use at the time, with just the right amount and not to keep.